Simply put, it's the Cotswold Way. Start in Chipping Campden at the Village Hall, stop in Bath at Bath Abbey, follow the signs marked "Cotswold Way". If you think the Cotswolds are full of gentle, rolling hills, you'd be right. However, this route takes you up and down the escarpment over and over again to make sure you get to enjoy every hilltop viewpoint and a host of chocolate-box villages nestled in the valleys. It's hilly. It's hard. To those who have finished, it's amazing. To many who haven't, it's an absolute beast. You'll have 30 hours to complete the event, with intermediate cut-offs along the way. Yes. Please don't even think about turning up without it. The full list is on the event website: www.cotswoldrunning.co.uk/#!/cotswold-way-century. Do I have to qualify for the race? Yes. You need to have a recent race finish of 40mi or further within recent history. For full details of the qualifying standard, see the event website: www.cotswoldrunning.co.uk/#!/cotswold-way-century. If you register without having met the qualifying standard, your registration will be cancelled and a refund given minus £25 to cover admin time and transaction fees. If you don't have a qualifier, please don't e-mail asking for an exception. You won't get one. Yes: You must be 21 or older when the race starts. Does the race fill up early? Last year, there was an early rush on entries, a lull, and then a final rush to fill the final few places in the summer. It's getting more popular, so we don't know what 2019 will hold. No. They get in the way of other people. Don't even bring them. Can I use a GPS device with the route on it? Yes. Please feel free to download the route from the event website. We like it when you don't get too far off track, and the farmers like it even more! The nearest train stations are Evesham and Moreton-in-Marsh. You can either come to the start and be dropped off, or catch the race coach from Bath (cost not included in the entry fee). There is no transport from the finish back to the start. The coach will leave Bath's Landsdown Park & Ride car park BA1 9BJ at approximately 9:00 and take you to Chipping Campden, where registration takes place in Chipping Campden School. Parking at the Park & Ride is at your own risk - we take no responsibility for your vehicles or their contents. The bus stop for the Park & Ride is very near post-race HQ, with frequent service and free parking. For those runners who plan to finish near the 30hr cutoff, you may wish to use a different location, as the final bus out is at 6pm. For more info about the car park, see http://visitbath.co.uk/dbimgs/First_Bath_Park&Ride(1).pdf. What happens if I have to drop out during the race? We'll do our best to get you to somewhere safe. We operate an overnight checkpoint at Painswick RFC. If you drop out during the night, you'll almost certainly be taken there. On Sunday morning, we'll transport dropped runners down to Bath. If you drop out on Sunday, we'll try to get you to Bath, but it may take some time. The best way is via the links on this entry site or the contact page on www.cotswoldrunning.co.uk - please look through the race details first though, as you may find your answer there. You can transfer to another runner until four weeks before race day, as long as that runner has met the qualifying standard. If you transfer to a runner who has not met the standard, their entry will be cancelled and no refund given. You get a 50% refund if you cancel your entry up to 3 months before race day, after which no refund will be given. 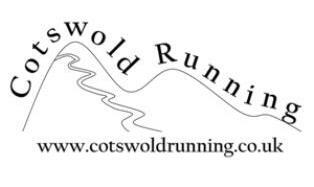 All race details are on the Cotswold Running website.